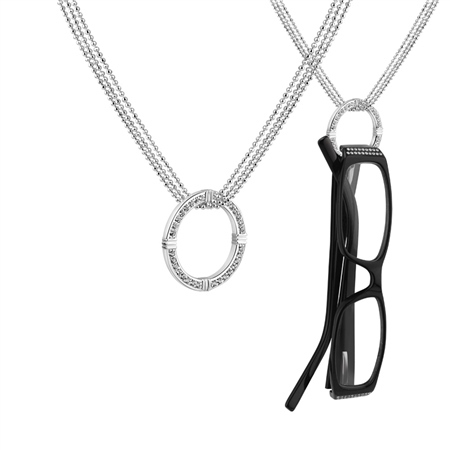 Stylish on its own or use it as a spectacle holder this pendant is sure to sparkle and shine each time you wear it, this practical statement piece is a perfect gift for yourself or treat someone and make it a great addition to any jewellery collection. Silver plated spectacle holder pendant with a protective anti tarnish layer, 32 clear Cubic Zirconia stone settings presented in a Newbridge Silverware gift box. Product dimensions pendant diameter 30mm Chain length 609mm.